The IdeaPad S series encompasses slim, handy and simultaneously economically priced notebooks. We have already put some of the representatives of this series through their paces - for example the Lenovo IdeaPad S300 (Pentium 2117U, HD Graphics, 13.3 inches) or the Lenovo IdeaPad S400 (Core i5-3317U, HD Graphics 4000, 14 inches). Now Lenovo introduces a new 11.6-inch model equipped with a touchscreen. 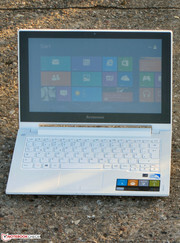 The review will show how the notebook performs in our test. We compare the computer to the competitors Acer Aspire V5-122P-61454G50NSS (AMD A6-1450, Radeon HD 8250) and Lenovo ThinkPad Edge E130 (Core i3-3227U, HD Graphics 4000). 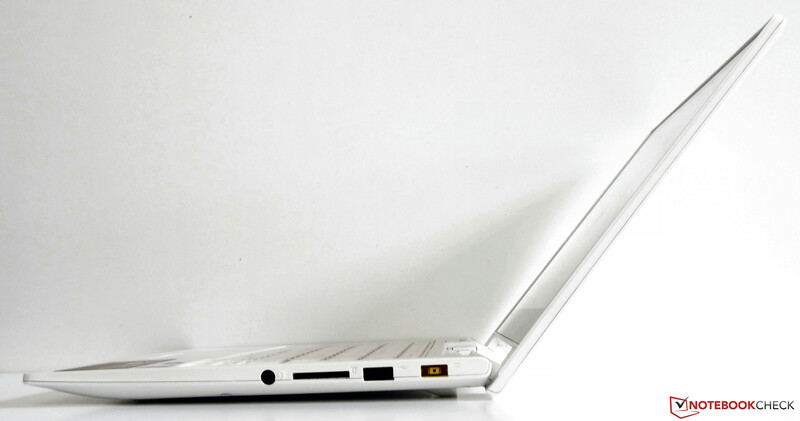 The entire case of the IdeaPad is made of white, matte plastic. Merely the frame is finished in black. In addition to that, the backside of the lid and the bottom of the base unit are equipped with a texture to improve the grip. The case of the Aspire and the ThinkPad also completely consist of plastic. The stability of the case is to a great extent reasonable and corresponds to the price level of the computer. The frame bends while the front right foot of the base unit lifts off the surface when pressure is applied to the left side of the frame next to the keyboard. 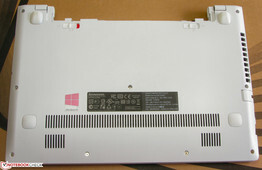 The base unit can also be bent underneath the touchpad. The torsional rigidity is acceptable, too. The base unit can only be twisted slightly. The same goes for the back side of the lid. 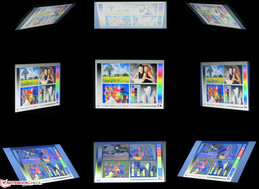 Light image distortions can be detected when pressing the backside. The hinges are very tight and the display barely bounces. It is not possible to open the lid with one hand. 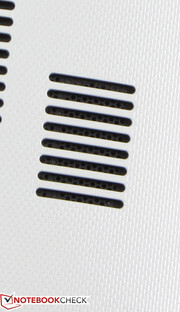 The surface of the back side of the lid is equipped with a texture. Lenovo failed to install a maintenance lid. Since the IdeaPad and the Aspire V5-122P are very thin, there is only a little space for interfaces. Both devices are missing a VGA port (the ThinkPad Edge E130 has one). 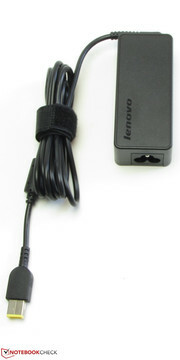 Those who are dependent on a VGA port can get by with an HDMI-to-VGA adapter (about 20 Euros/~$27). In place of an HDMI port, Acer fits the Aspire with a so-called Acer Converter Cable Port, which can be used as an HDMI port via an adapter. Both of the Lenovo computers possess an HDMI port. Good: All of the three computers come with at least one USB 3.0 port. The layout of the interfaces of the IdeaPad is not ideal. The interfaces on the left side are abreast of the palm rest. The interfaces on the right side are situated at the back area. 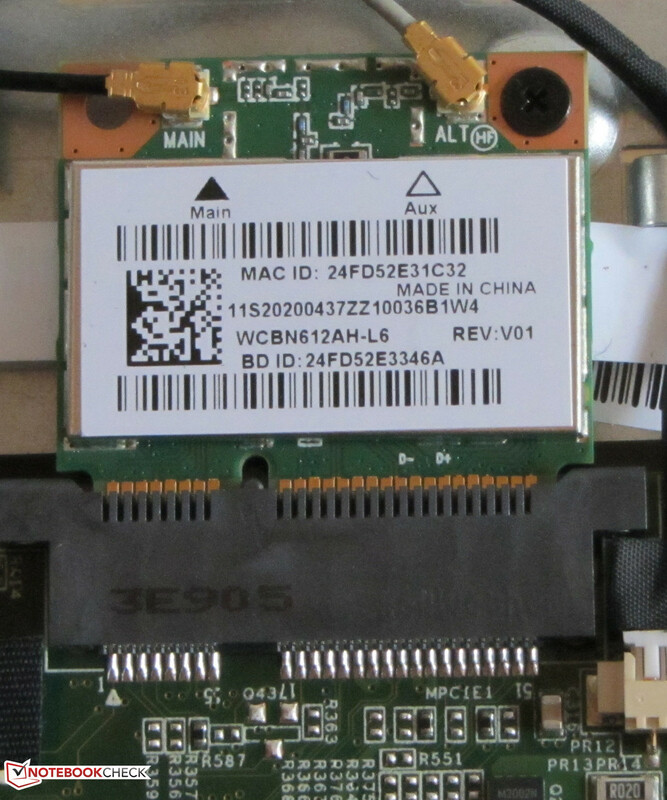 Lenovo relies on a WLAN module by Atheros (AR9565) for the IdeaPad. It supports the WLAN standards 802.11 b/g/n. Problems with the WLAN reception are non-existent. The connection collapses neither when being directly nearby (about 3 meters/~10 feet) nor when being two stories underneath the router (transmission power about 50%). Concerning Ethernet, the S210 is not quite up-to-date. 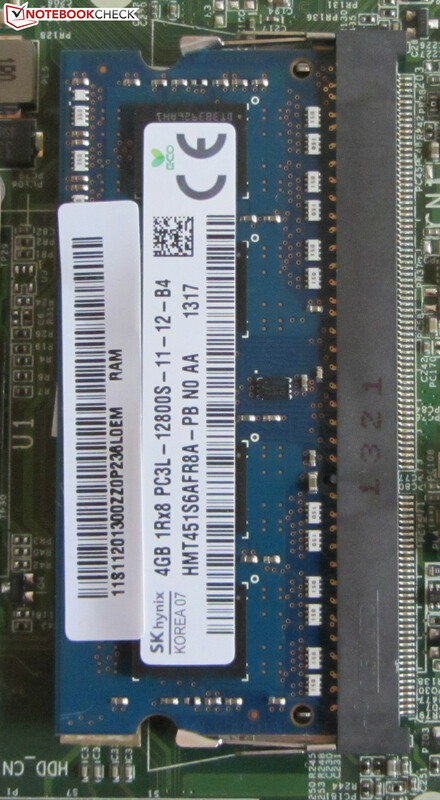 Lenovo merely builds in a Fast-Ethernet chip by Realtek. A Bluetooth 4.0 module has also made it into the small notebook. The webcam generates a very mushy image and has a resolution of 1,280x720 pixels. 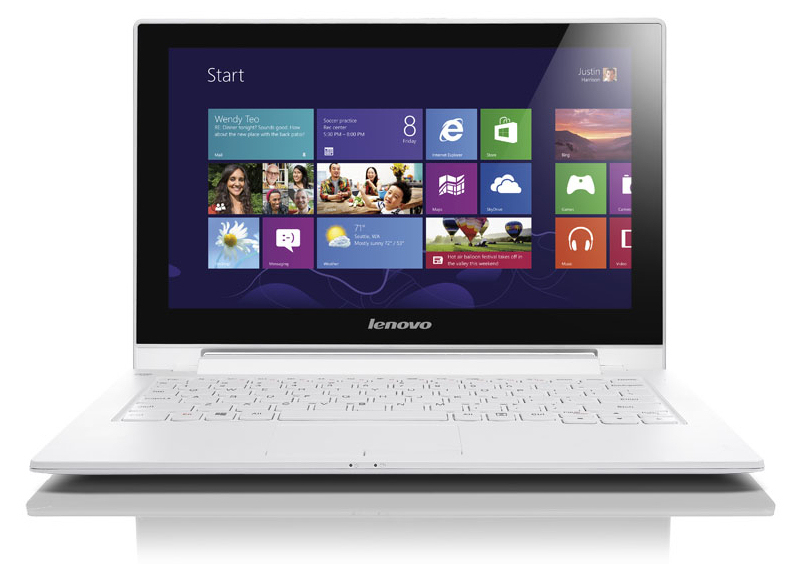 The IdeaPad is solely accompanied by the usual documents: A quick-start poster, and warranty and security information. The IdeaPad ships with Windows 8 (64-bit) preinstalled. A Windows 8 DVD is enclosed. The notebook can be set back to delivery condition with the help of the OneKey recovery system. This is done by pressing the OneKey recovery button when the notebook is turned off. This button is situated on the left side of the computer. When pressed the notebook turns on and a menu appears where the option "System Recovery" needs to be chosen. Those who prefer Windows 7 over Windows 8 have the possibility to change the operating system. 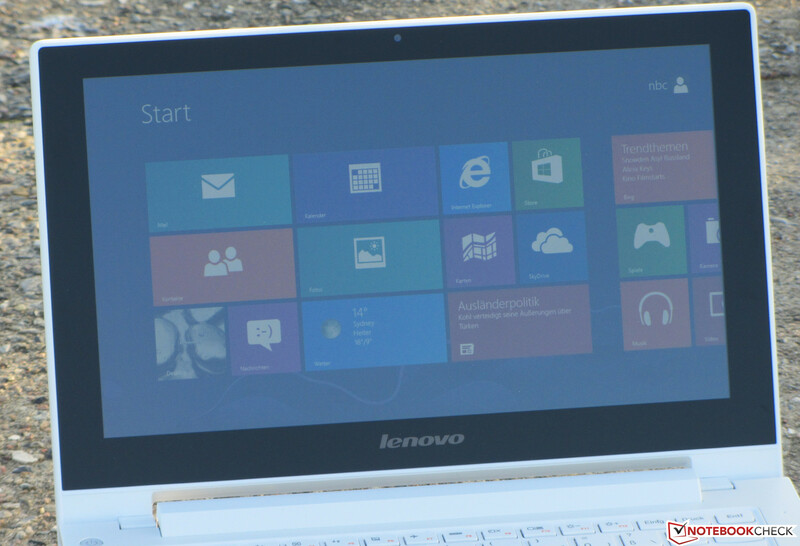 Even though Lenovo only supports Windows 8, it is no problem to install Windows 7. Windows 7 drivers are available for the entire hardware. Many of them can be downloaded from the Intel website (graphic core, USB 3.0, chipset). Oftentimes the Windows 8 drivers from the Lenovo website work just as well, e.g. the WLAN driver. We had to fall back on the original driver by Realtek to activate the Ethernet interface. 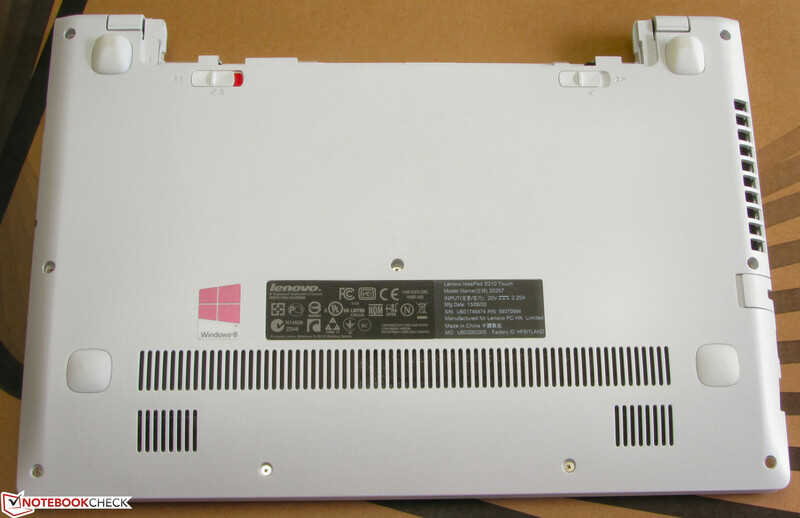 Lenovo failed to install a maintenance lid for the IdeaPad. 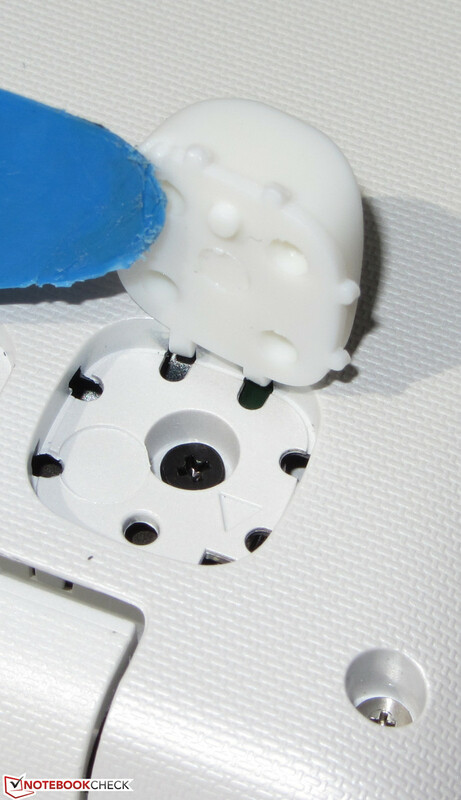 Those who want to access the internals have to take off the bottom of the base unit. To do so all screws of the bottom need to be removed. Two more screws are situated underneath the two rear rubber feet that also need to be unloosened. Now the base unit can be removed but do this with great caution. The bottom is held by some delicate plastic hooks that can break off easily. If in any way possible, refrain from opening the computer. Those who want to undertake this project anyway should download the according hardware maintenance manual by Lenovo. It precisely describes and illustrates what to do. 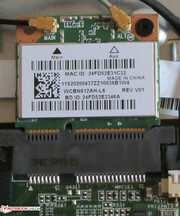 After opening the case, the main memory, the hard drive, the WLAN module, the BIOS battery and the fan can be accessed. The latter can be taken out for cleaning purposes. 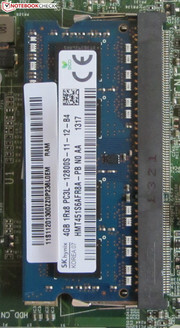 The IdeaPad is equipped with one main memory bank, which is occupied by a four-gigabyte module. The hard drive is interchangeable but only 2.5-inch hard drives with a design height of 7 mm fit into the notebook. The IdeaPad comes with a 24-month bring-in warranty. The Aspire and the ThinkPad only come with a one-year warranty. 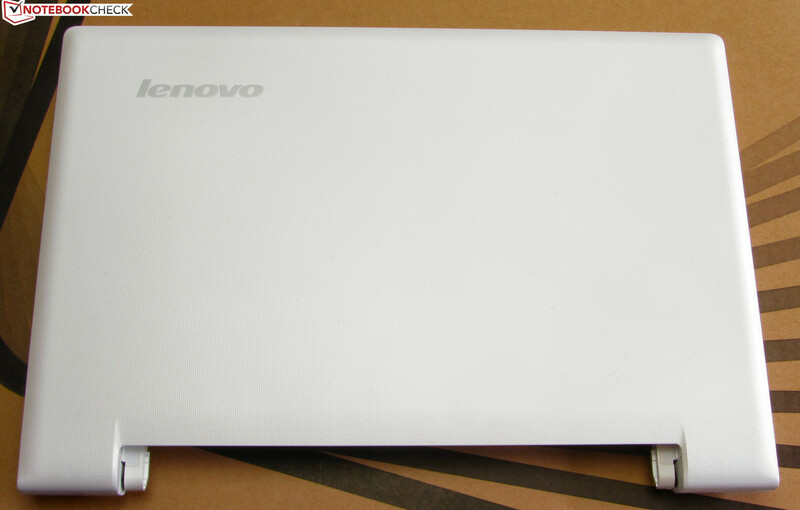 At the time of the test, we were not (yet) able to find out about any warranty extensions for the S210 from Lenovo. 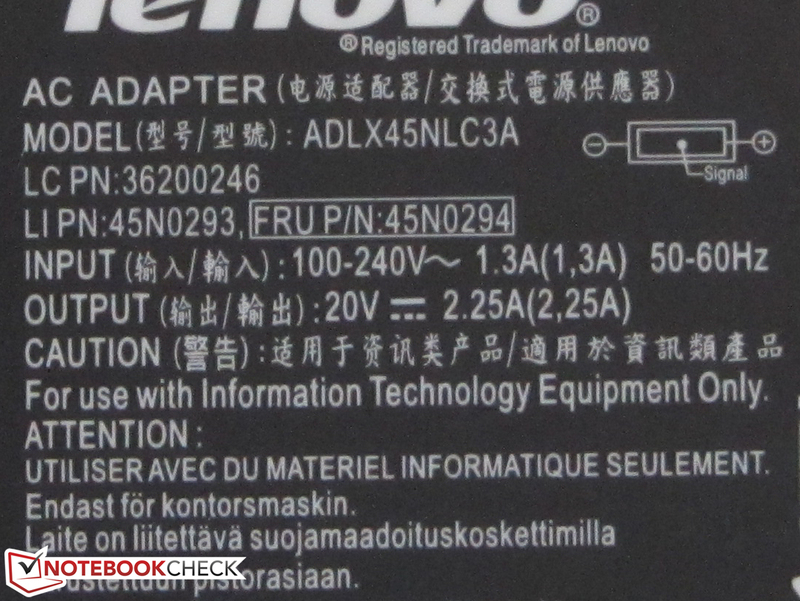 If you want to find out yourself: With the aid of the serial number, all available warranty extensions of the computer can be listed on the Lenovo website. 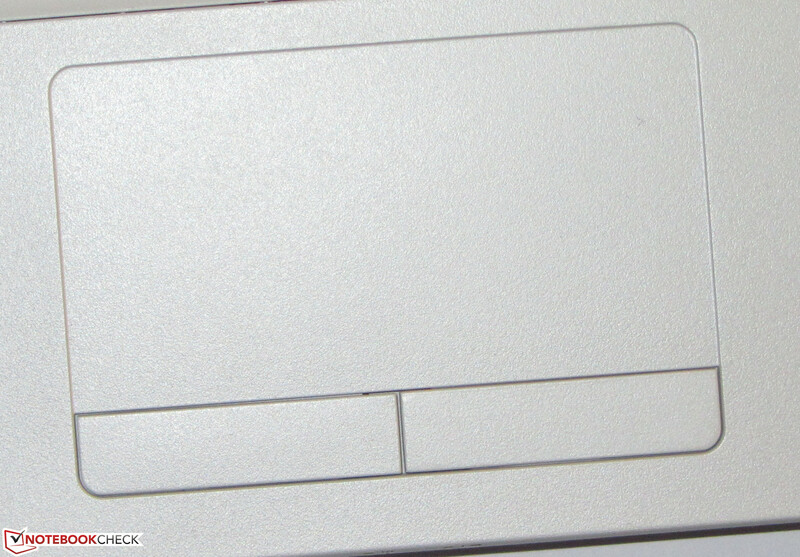 The IdeaPad is equipped with an unlit chiclet keyboard. The flat and smooth keys have a short stroke and a well detectable pressure point. The resistance of the keys is acceptable. 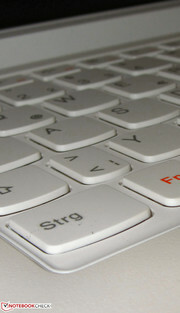 The keyboard bends in the center (especially right of the center) when typing. The typing feel worsens in this flexible area, which is unfortunate. If the keyboard did not bend, Lenovo would have delivered a surprisingly reasonable keyboard. Lenovo fitted the IdeaPad with a conventional, multi-touch capable touchpad with a dimension of 8.1 x 4.4 cm (~3.2 x 1.7 inches). The surface and color of the pad are identical with the remaining palm rest. The slightly roughened surface does not hinder the fingers from gliding. The pad, however, does not detect every single touch of the fingers. Often the pad has to be tapped strongly to trigger a reaction. The responding qualities improved after setting the sensitivity of the pad to the highest level in the configuration menu. The various multi-touch gestures can also be individually turned on and off in the context menu. Both mouse buttons have a short stroke and a clearly audible and palpable pressure point. The touchscreen offers the user another option to control the laptop. Lenovo builds in a model with 10 touch points. The screen reacts quickly to input. However, the IdeaPad suffers under the same problem as other conventional notebooks with a touchscreen: A permanent, comfortable position cannot be found since the arm constantly has to be held in the air. 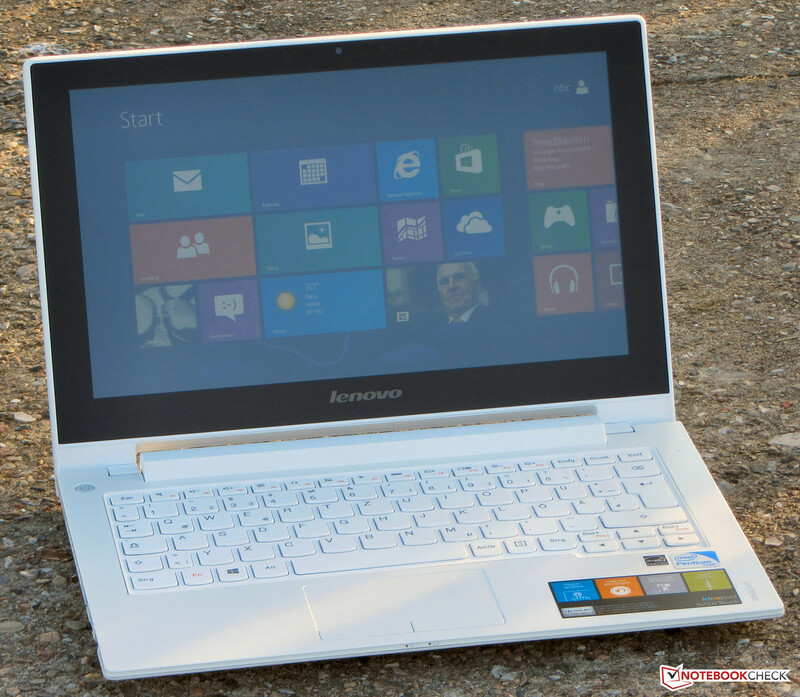 Lenovo equips the IdeaPad with a glossy 11.6-inch display with a native resolution of 1,366x768 pixels. Other display types are not available. 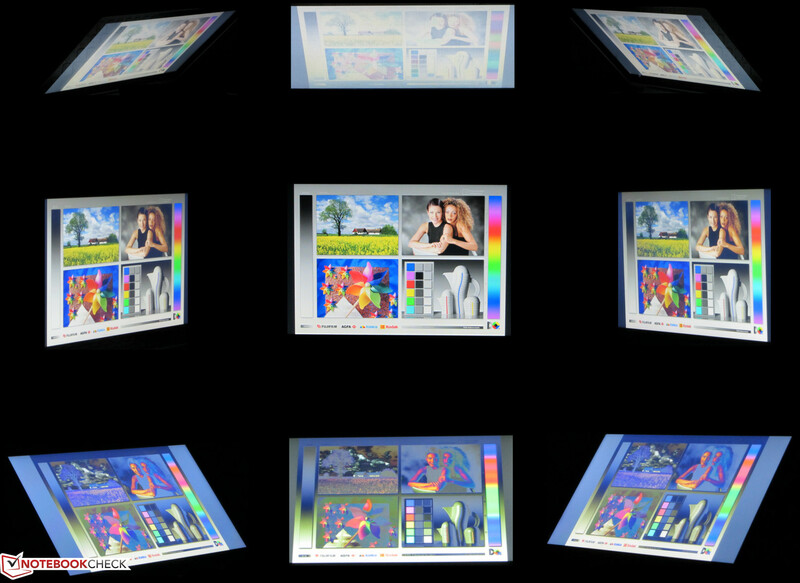 The average brightness of the display is 238.4 cd/m², which is in the upper range. The screens of the Aspire V5-122P (206.4 cd/m²) and the ThinkPad Edge E130 (218.9 cd/m²) are not as good. Concerning contrast (260:1) and black value (1.01 cd/m²) the display cannot convince us. The screen of the ThinkPad (228:1, 1.04 cd/m²) delivers similar measurement results. The screen of the Aspire (500:1, 0.42 cd/m²), though, sets itself clearly apart. It shows very respectable values. 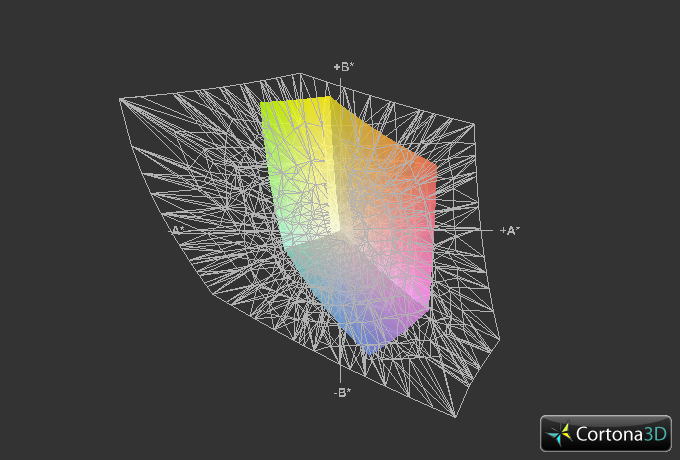 As expected, the display of the IdeaPad is not able to display the sRGB and the AdobeRGB color space. This, however, should not be an issue for the common user. We measured the screen in delivery condition (target color space sRGB) and detected moderate DeltaE-2000 deviations (DeltaE between 5 and 10) for most of the colors. Only a few of the colors exceed this area. Merely black is located in the target space (DeltaE lower than 5). In addition to that, the display has a distinct blue cast. The notebook can only be used in shady areas outside. The glossy surface and the low contrast prohibit the unrestricted use outdoors. The display of the IdeaPad is nothing special for the low-priced notebook segment. The image quickly distorts when looking at the screen from a vertical angle. 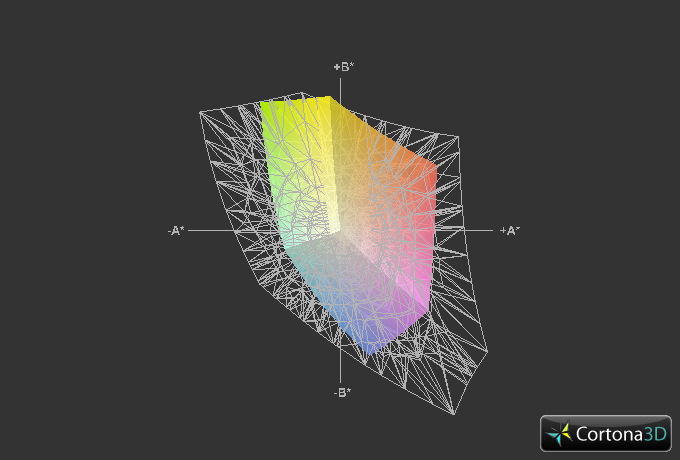 From a horizontal angle, however, the display can nearly be read from the side, even though the image darkens a little. With the IdeaPad S210 series, Lenovo offers a number of handy and inexpensive subnotebooks (11.6 inches). The product line contains models with and without touchscreen. The devices are powerful enough to handle everyday tasks (Skype, email, browsing the Internet...). Playing videos in Full HD resolution is no real challenge for the notebooks. Our test device is currently available for roughly 450 Euros (~$599). At the time of our review, there was another model listed in addition to the one we tested. This one has to do without touchscreen and is fitted with a Celeron 1017U. The rest of the hardware is identical. The price is about 350 Euros (~$466). 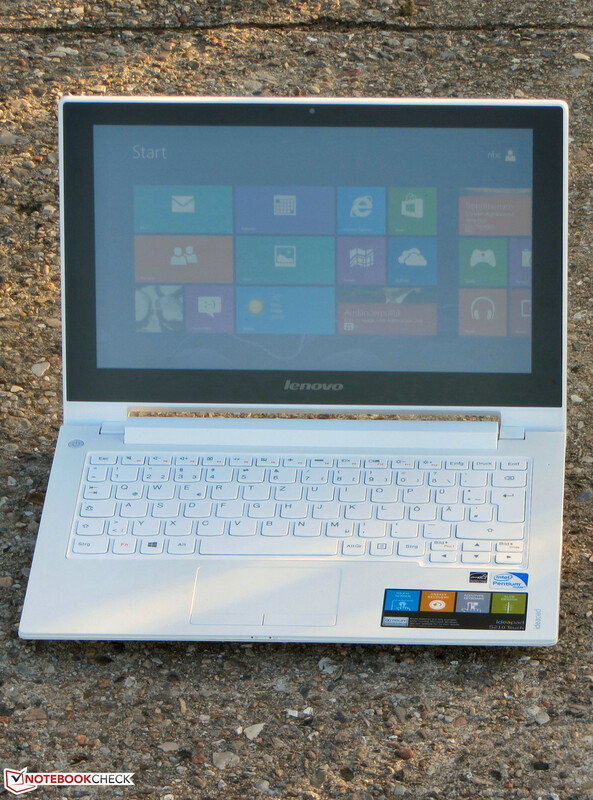 Lenovo equips the IdeaPad with a Pentium 2127U processor. This two-core processor is part of the Ivy-Bridge processor generation, runs at a speed of 1.9 GHz and does not have a turbo. This Pentium is a ULV processor. These CPUs operate at low voltages, which cause them to consume relatively little power. According to Intel, the TDP of this Pentium is 17 Watts. The Cinebench tests constantly work the processor at full speed (1.9 GHz). Therefore, the scores lie where we expected them to be. Both of the Lenovo computers rank at the same level in the single-thread tests since their CPUs run at the same speed. However, the ThinkPad Edge E130 (Core i3-3227U, HD Graphics 4000) is able to pull clear in the multi-thread tests because its Core i3 supports hyperthreading. The values of the Aspire V5-122P (AMD A6-1450, Radeon HD 8250) consistently lag behind those of the competition due to the weakest CPU. The IdeaPad and the Aspire are on the same level in the GL test of the Cinebench R11.5. The ThinkPad is always ahead of the other two computers since it is equipped with the most powerful GPU. The system runs smoothly and without any issues. Therefore, the scores of the PC Mark benchmarks turn out quite well. The ThinkPad (Core i3-3227U, HD Graphics 4000) scores higher due to its configuration with a stronger CPU-GPU combination and a faster hard drive. The scores of the Aspire (AMD A6-1450, Radeon HD 8250) are far behind those of the competition. The built-in AMD APU is clearly inferior to the processors of the Lenovo notebooks. 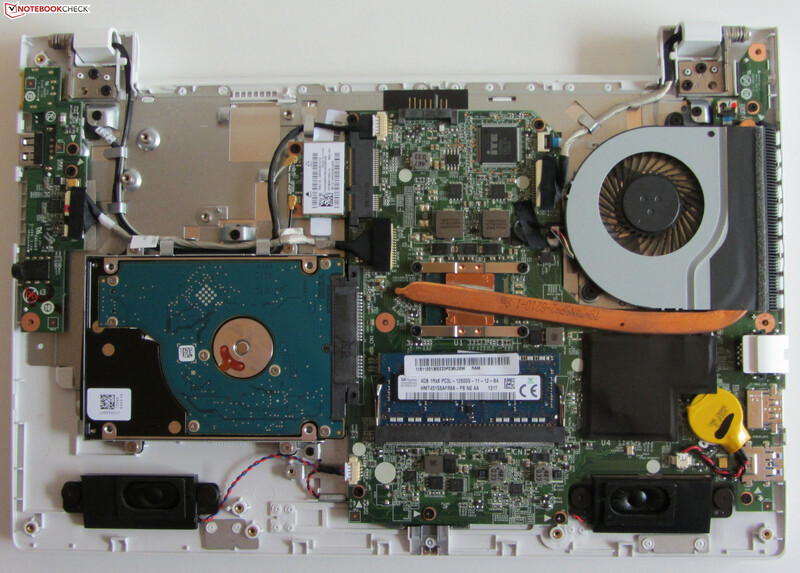 The PC Mark results rise strongly when putting a Solid State Disk into the IdeaPad, which we did. Our SSD (Crucial RealSSD C300 - 64 GB; connected via cable) improves the PC Mark 7 score by about 63% to 3,489 points. The PC Mark Vantage score increases by about 65% to 6,332 points. The SSD has a noticeable influence on everyday use: Windows boots fast and applications load faster, too. Additionally, the noise of the hard drive disappears. 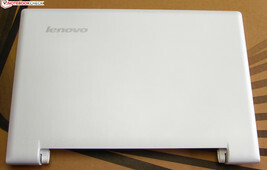 Lenovo's IdeaPad is fitted with a hard drive from the Seagate Momentus Thin series (design height: 7mm). It has a capacity of 500 GB and runs at 5400 revolutions per minute. CrystalDiskMark reports a reading rate of 94.03 MB/s and HD Tune an average transfer rate of 83.5 MB/s. Both values are good for a 5400-rpm hard drive. 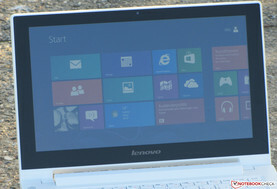 Lenovo deploys a graphics core from Intel's HD Graphics (Ivy Bridge) for the IdeaPad. It supports DirectX 11 and runs at speeds from 350 up to 1,100 MHz. Intel also uses the name HD Graphics for the corresponding GPU of the Sandy-Bridge generation. The Ivy-Bridge variant is more powerful though. It ranges between the GPUs HD Graphics 2000 and HD Graphics 3000. The results of the 3D Mark benchmarks are no big surprise. The ThinkPad (Core i3-3227U, HD Graphics 4000) scores the highest. After all, it is equipped with the strongest GPU. The IdeaPad beats the Aspire V5-122P (AMD A6-1450, Radeon HD 8250) in almost every single benchmark but the 3D Mark 11 benchmark. This is owed to the fact that CPU performance is nearly irrelevant for this test and therefore a strong suit of the Aspire. The main purpose of the IdeaPad is not playing computer games. At best, a few of the current 3D games can be played fluently at a low resolution and low detail settings. These are, for example, low-performance games like the representatives of the FIFA series, which even allow playing at a higher resolution and detail level. The IdeaPad is extremely quiet during idle. We measured a sound level between 30.7 and 31.4 dB(A). The level of the Edge E130 (31.5 to 33 dB(A)) is only slightly higher. The Aspire V5-122P (32.5 to 36.1 dB(A)) is considerably louder. The IdeaPad has an equally low sound level during medium (3D Mark 06 running) and full load (stress test, Prime95 and FurMark running). The level lies between 32.4 and 32.5 dB(A). Once again the results of the ThinkPad turn out to be higher but still in a very acceptable range. It comes as no surprise that the Aspire (37.8 to 41 dB(A)) generates the most volume under load. 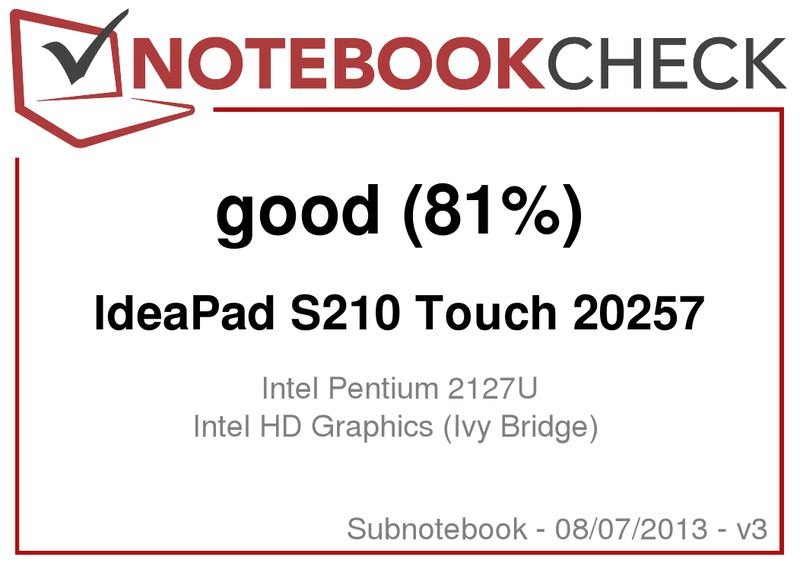 The Ideapad S210 Touch during the stress test. Overheating is not an issue for the IdeaPad during idle mode. We measure temperatures between 26.4 and 30.6 degrees Celsius (79.5 and 87.1 Fahrenheit). The ThinkPad warms up a little more. However, the Aspire exceeds 30 degrees Celsius (86 Fahrenheit), sometimes significantly. The consequences of the quietly running fan are revealed under load. The IdeaPad heats up to considerably more than forty degrees Celsius (104 Fahrenheit) in some areas, namely above and below the fan. The Aspire generates less heat while the ThinkPad generates the most. We conducted the stress test (Prime 95 and FurMark run at least one hour) during power supply operation and battery operation with the CPU running at 1.9 GHz. 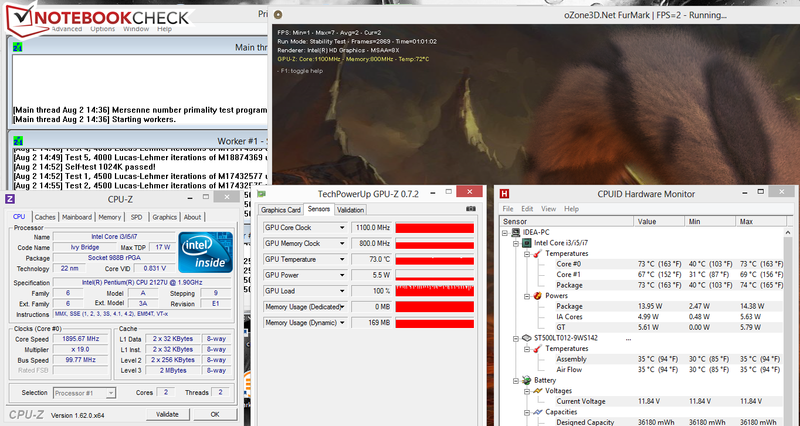 The GPU runs during our stress test at full speed (1,100 MHz) as well. 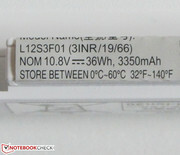 During power supply operation, the CPU temperature levels off at about 73 degrees Celsius (163.4 Fahrenheit). 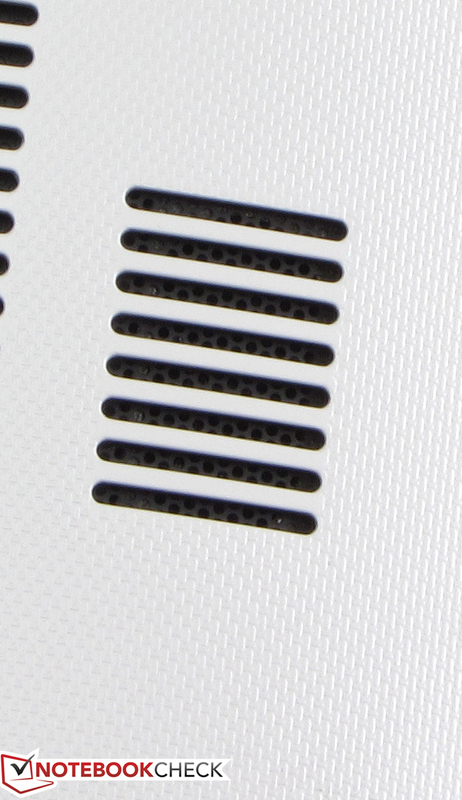 The stereo speakers of the S210 are situated at the front of the bottom of the base unit. They generate a quite voluminous but slightly tinny sound. Voices are well understandable. We recommend headphones or external speakers for an improved sound experience. The IdeaPad is satisfied with a power consumption between 5.8 and 8 Watts during idle mode. The Aspire V5-122P (6.9 to 12.4 Watts) and the ThinkPad Edge E130 (6.8 to 10.8 Watts) cannot quite keep up with these good results. The power consumption of the S210 under medium load (3D Mark 06 running) and full load (stress test, Prime 95 and FurMark running) rises up to 23.7 and 27.6 Watts respectively. Once more, the values of the ThinkPad (29.2 and 33.6 Watts resp.) are higher. This does not come as a surprise since it is equipped with a stronger CPU-GPU combination. The Aspire (18.3 and 23.3 resp.) is more energy efficient. It should be kept in mind, though, that the Aspire does not use its full potential under full load due to throttling. During idle mode, the IdeaPad reaches a runtime of 5:51 h. Therefore, the IdeaPad fails to outperform the Aspire V5-122P (6:19 h). Both of them cannot compete with the endurance of the ThinkPad Edge E130 though. The idle mode is tested with the Battery Eater Reader’s test. The screen is set to the lowest brightness setting, the energy-saving profile activated and all radio modules deactivated. Under load, the IdeaPad lasts for 1:19 h. The Aspire (1:53 h) needs to be recharged much later. Once again the ThinkPad (2:12 h) beats both competitors. The runtime under load was established with the Battery Eater Classic test. This time the screen is set at the highest brightness level, the high-performance profile is used and the radio modules are activated. With 3:29 h the S210 outshines the Aspire (3:07 h) in our WLAN test. Unsurprisingly, the ThinkPad (5:44 h) can clearly pull away from the competition. During the WLAN test, websites are automatically called up at 40-second intervals. The energy-saving profile is activated and the display brightness set to about 150 cd/m². When having a look at the capacities of the batteries (IdeaPad: 36 Wh, Aspire: 30 Wh, ThinkPad: 63 Wh) it becomes apparent why the ThinkPad is able to score the highest runtimes. The IdeaPad offers a good application performance while running quietly over the entire load range. 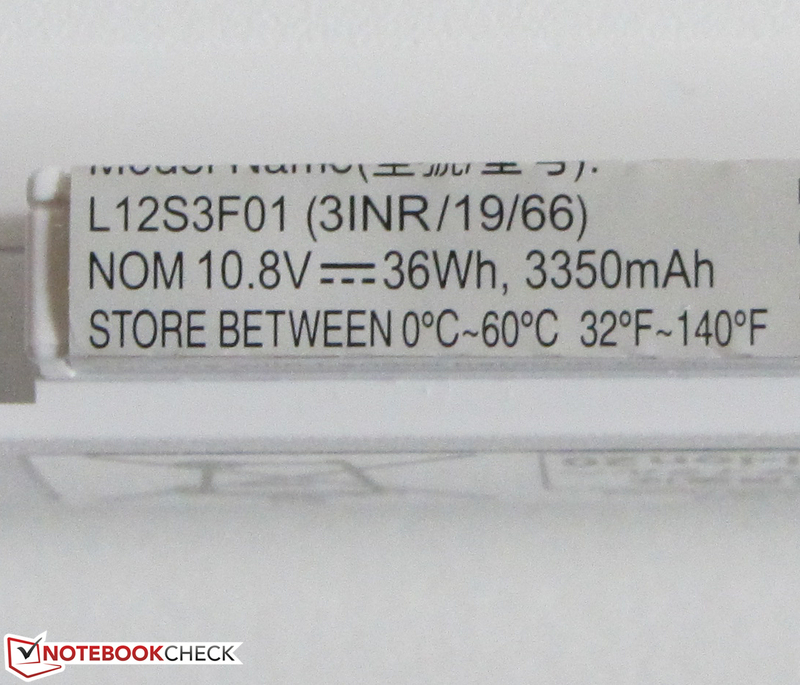 In addition to that, the notebook is very energy efficient and has a two-year warranty. The display, however, could be better. It offers little contrast and has a blue cast. The battery runtimes could also be better for a device with ULV hardware. The IdeaPad has savings potential. Those who can live without a touchscreen and are satisfied with a Celeron processor can get the S210 for about 350 Euros (~$466). The Acer Aspire V5-122P-61454G50NSS is especially interesting for users that require a high-grade display. Acer equips it with an IPS display. The Lenovo ThinkPad Edge E130 is a good option when a business device with a good keyboard and long battery runtimes is demanded. 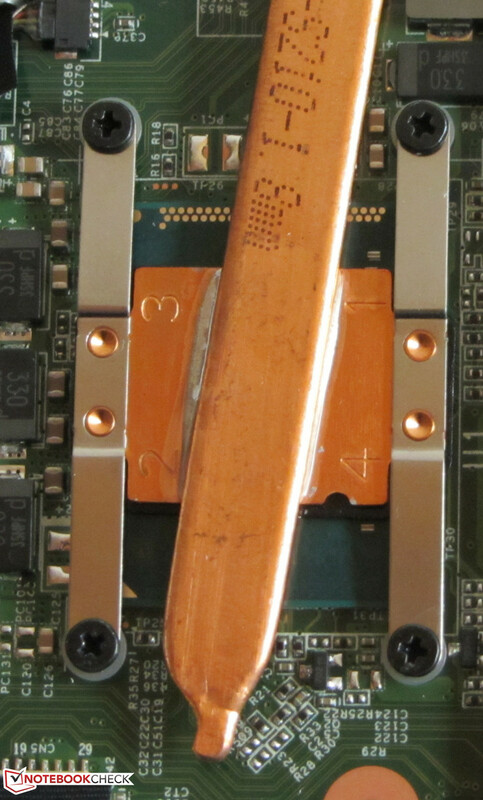 Furthermore the ThinkPad can be easily modified (maintenance lid available), for example with a Solid State Disk in the mSATA format. The ThinkPad Edge also has savings potential. The entry-level model (Pentium 997, 4GB, 320 GB hard drive, no operating system) is available for only 320 Euros (~$426). 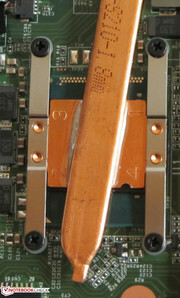 We have also tested a variant of the Edge with a Pentium processor. The hinges lock the lid very tightly in position. 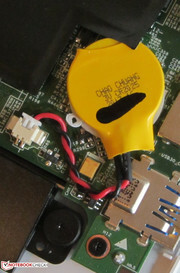 The bottom of the device can be removed. It only has one main memory bank. The hard drive is interchangeable. 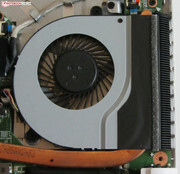 The removal of the fan is possible. The processor is firmly soldered. Positive: Two WLAN antennas are available. The BIOS battery is replaceable. ...and provides a maximum performance of 45 Watts. The speakers are situated at the bottom. More screws hide underneath the rear feet. The low noise level and the two-year warranty. Lenovo gives the small IdeaPad a 24-month warranty. This is very uncommon for the low price segment.